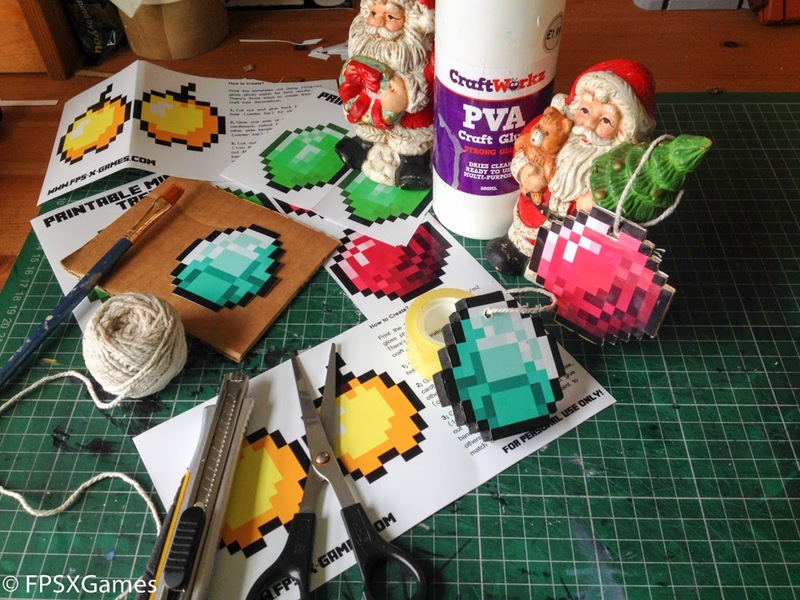 Here's an awesome selection of printable Minecraft Christmas tree decorations for all the family to create. Click the template below to open new window for full size A4 template, right click (save image as or print). Print the templates out using 200g/m2 gloss photo paper for best results. Cut out and glue back to back. Make hole (center top) for string. Glue one side of template to some cardboard, cutout that out again and glue other side template on. Make hole (center top) for string. Cut out design and glue to MDF board (1cm thick MDF should work fine). Cut out MDF design using jig saw, coping saw, band saw or scroll saw, cut out and glue otherside of design. 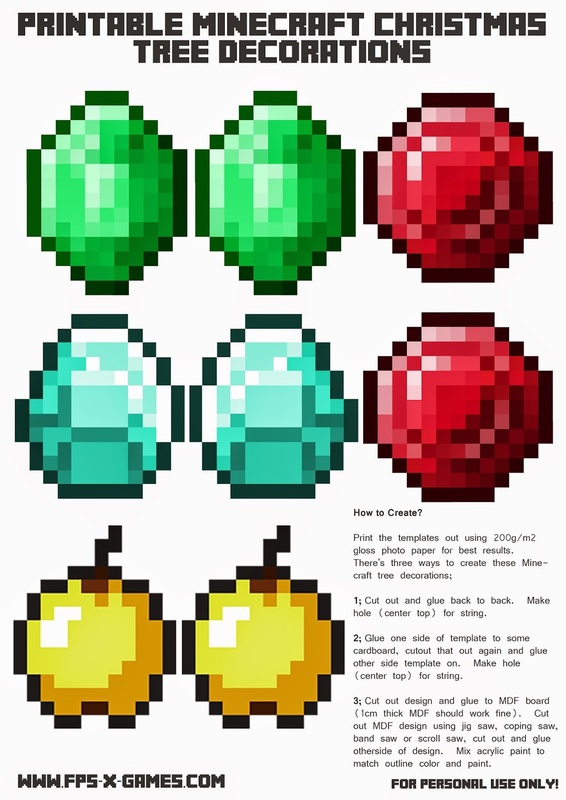 Mix acrylic paint to match outline color and paint.